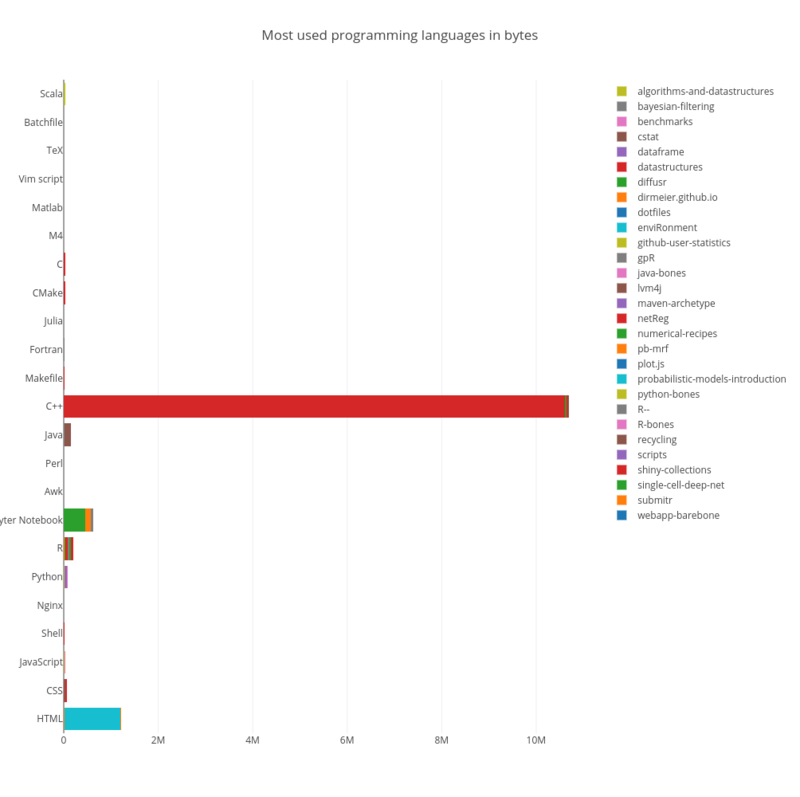 Recently I got interested what languages some people use the most on GitHub. You can easily check this by querying the GitHub API for your user name and/or repositories. For convenience, I quickly implemented a web-app that computes the percentages of your used languages and visualizes it using Plotly . Below, you see my most used languages (13. 10. 2017).